The two-way data binding feature of Angular.js provides data updates notification to the model, when a change is made to the UI. In the following article, we will implement a criteria based search by using the $http service to make a call to ASP.NET WEB API. Step 2: In the Models folder, add a new ADO.NET Entity Data model of the name ApplicationDBEDMX.edmx. Complete the wizard by selecting ApplicationDB.mdf and the EmployeeInfo table. After the completion of the wizard, the table mapping will get generated. Build the project and make sure that it is error free. 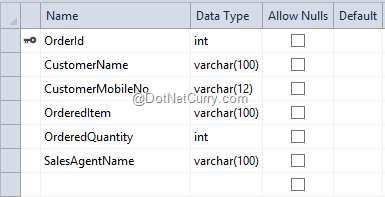 In the above code, the method GetOrders() returns all orders and the method GetOrdersByCustName() accepts parameters which represent the filter criteria and its value. 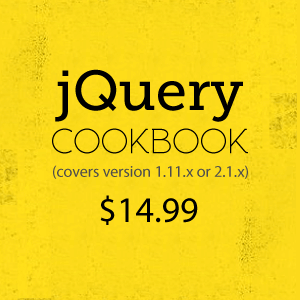 Based upon the filter name and its value, the query will be executed and the Orders will be returned. Step 5: In the Controllers folder, add a new Empty MVC controller of the name OrdersController. We need to scaffold the Index view from the Index method of this controller. Right-click on this method and select option Add View from the Context menu. This will add Index.cshtml. Step 7: In the Index.cshtml, add the following Markup, Script references and the model binding expressions. Bootstraps the Angular application with the module ngmodule and uses the controller ngcontroller defined in Logic.js. The <table> is applied with styles in defined in Bootstrap. The <input> text element is bound with the filterValue scope object declared in the controller. This <input> text is bound with the getFilteredData() function declared in the Controller. The <table> generates <tr> based on the Orders scope object in the controller. Likewise we can search based on other criteria like MobileNo, SalesAgentName etc. Conclusion: The two-way binding system in Angular.js makes the process of building highly responsive applications, much easier. This is one of the several use cases where the combination of Angular.js and ASP.NET Web API play pretty well together. Use the comments section and share your use-cases of mixing these two technologies. Also let me know how was your experience.